Since smoking has been banned in the majority of countries around the world, sales in restaurants and cafes have decreased, especially in countries where the weather is less than exemplary. Since then, the owners of these establishments have been trying to figure out ways to draw smokers and non-smokers alike back to their places of business. Here, we will look at an idea that could potentially rectify this situation. There is no denying that sales in restaurants and cafes have dropped since the smoking ban was introduced. In fact, one politician in the United Kingdom said that figures indicated that an average cafe or restaurant had been losing almost £3,000 (approx. C$ 4,500) a year since its introduction. Clawing back these profits is essential; therefore, looking into a cost effective outside lounge may just be an idea that saves a restaurant or bar from going under. 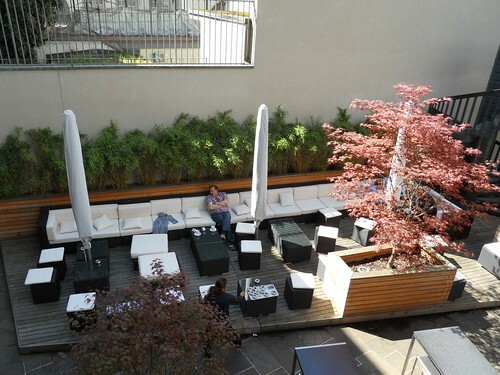 As you can see from the pictures an outdoor lounge is a comfortable place to relax, have a drink or even eat. When people go to a restaurant, they are looking for three things; to socialise with good company, to eat great food, and be in a wonderful and comfort environment. Depending on your design, outdoor lounges can be both comfortable and a relaxing, regardless of the weather. While some people may believe that an outdoor lounge would be impossible to sustain in a cold Canadian climate, they are a wrong. 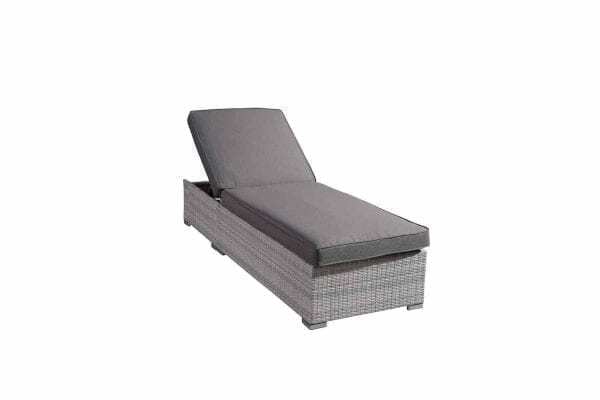 All-weather wicker lounges are perfect for our climate as they are highly resistant against the elements. Many places are already using patio heaters, which ensure that even when it is cold, the outdoor lounge is still perfect to use. The way, patio season can be extended into spring and fall. Of course, the furniture that you use is a pivotal part of the whole operation. Before you buy anything you need to ensure you are looking at durable materials. Then ensuring that you can buy low lying tables, on the same level as the chairs. Decorative features are important to round of the whole feel of the patio. 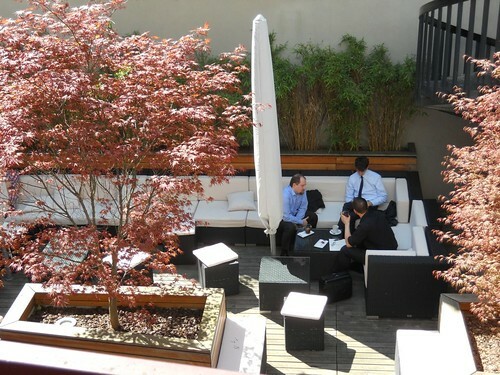 An outdoor lounge can be a great way to re-gain needed business for a relatively small outlay when you consider the revenue that you could earn. This is all thanks to large technological developments in the furniture area, and as this category continues to develop, the lounges will become even more inexpensive and accessible to restaurants or cafes in the future.